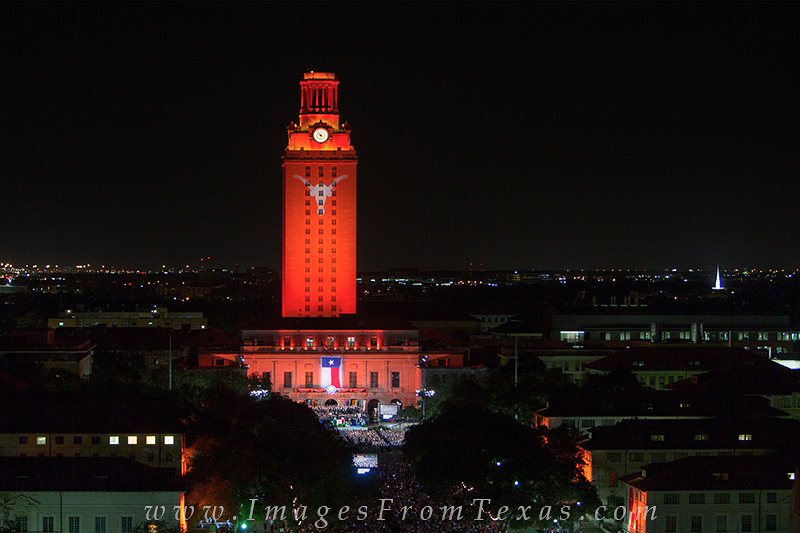 Taken on graduation night, this picture of the Texas Tower shows the Longhorns symbol as the "Eyes of Texas" is played. Taken on graduation night, this picture of the Texas Tower shows the Longhorns symbol as the "Eyes of Texas" is played. Photo © copyright by Rob Greebon.